Are you looking for a rock-solid central air conditioner that offers Energy Star rated efficiency to go with a value-oriented price? That’s the rare combination delivered by the Bryant Legacy Line Model 116B. Bryant quality and efficiency go together in this air conditioner which is a popular choice for homeowners in all regions of the country, from hot to relatively cool. Darrell in Concord, North Carolina passes along this HVAC prices submission in which he shares the Bryant Legacy Line Model 116B 16 SEER central air conditioner price he recently paid. “When my 10 year old window air conditioner busted last spring me and the wife decided it was time to get a central air conditioner. I didn’t want nothing fancy – just something basic that would kick out enough cool air to cool our whole house – not just the family room where the window unit was set. I had a few fellows out to give me central air conditioner prices and most of them were trying to sell me on a whole new system. I’ve been heating our house with a wood pellet stove for 3 years and love it. Don’t hardly ever even turn on the furnace anymore except in the coldest weather. It was only the Bryant dealer that didn’t give me a hassle about a whole new system. He suggested one of the Preferred Series models and when I saw the price I told him to sharpen his pencil a bit more. He then said he had a less expensive one, the Bryant Legacy Line 116B and I was annoyed he hadn’t told me about that one first. Anyway, I told him that’s what we wanted and gave him a deposit on it. A couple days later he and his boys came out to install it. They was here about 4 hours and wrapped it up. Last summer was about as hot and humid as normal and the entire house was very comfortable regardless. This central air conditioner is the greatest thing since sliced bread. Up to 16.0 SEER, Energy Star qualified. Quiet and efficient single-stage scroll compressor. Uses Puron refrigerant which is environmentally safer. Quiet operation as low as 76db. Works with standard thermostat or the Bryant Thermidistat for enhanced humidity control. Galvanized steel cabinet and DuraGuard protective system. Powder-paint for longevity and appearance. 10-year limited warranty covers the compressor and all parts. Whenever you invest in a heating and cooling system you want to ensure that it lasts as long as possible and delivers the efficient performance you expect. 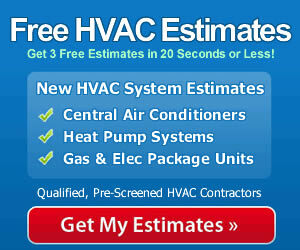 The best guarantee that you’ll get your money’s worth is to hire a qualified contractor for the installation. They have the training and expertise to properly install, test and adjust the system so that it runs at top efficiency and delivers the durability you can rely upon. It always makes sense to entrust the job to a pro!